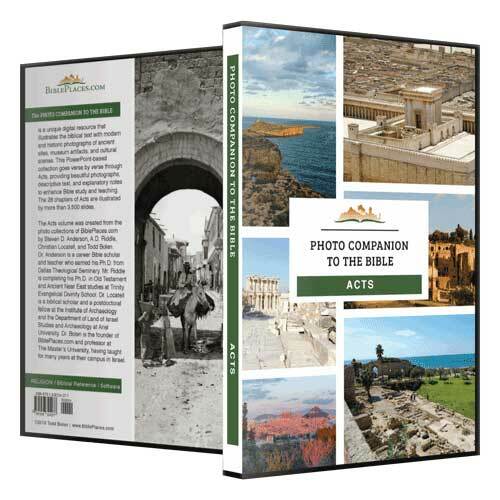 They came to Thessalonica (Acts 17:1). Thessalonica was located at the intersection of two major Roman roads, one leading from Italy eastward (Via Egnatia) and the other from the Danube to the Aegean (north-south). 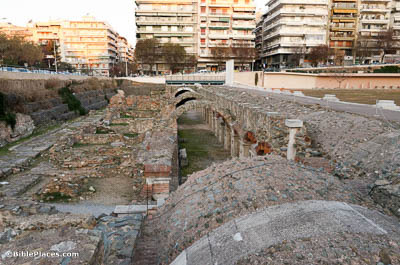 Thessalonica’s location and use as a port made it a prominent city. 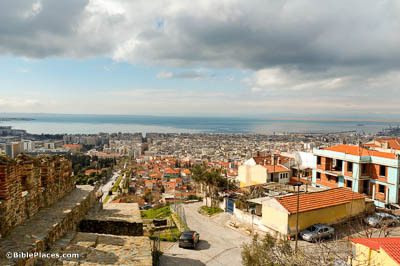 Today the modern city of Thessaloniki is the second most important city of Greece and home to a million residents. The “marketplace” referenced here is certainly Thessalonica’s forum, which has been uncovered by archaeologists. In Greco-Roman cities, the forum was the place for public gatherings and trials, as well as being the central place in the city for shopping and socializing. The brothers immediately sent Paul and Silas away by night to Berea (Acts 17:10). The city of Berea was founded at the end of the 5th century BC and became highly prosperous within a century, according to an inscription dating to the end of the 4th century BC. 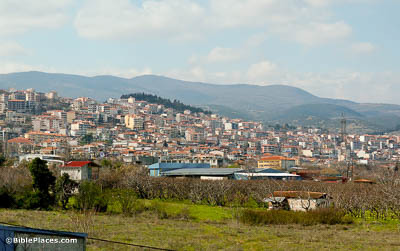 Due to modern construction, little of the ancient city is currently visible. Now while Paul waited for them at Athens . . . he saw the city was full of idols (Acts 17:16). Paul was correct in observing the many idols in Athens, since the city was home to many large and renowned pagan temples. 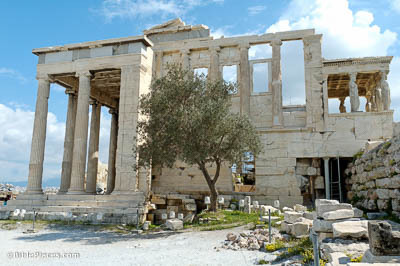 Among them was the Erechtheion, pictured here. Completed in 406 BC, it was dedicated to the goddess Athena and the god Poseidon Erechtheus. They took hold of him and brought him to the Areopagus (Acts 17:19). 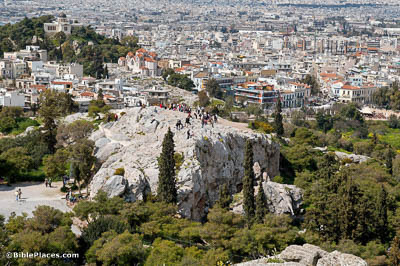 Next to the acropolis of Athens stands a smaller rocky outcropping. This is the Areopagus, or “Mars Hill,” named for Ares, the Greek god of war, called Mars by the Romans. From the beginning of Athen’s democratic tradition, and continuing through Paul’s day, the Areopagus served as a place for judicial deliberation.